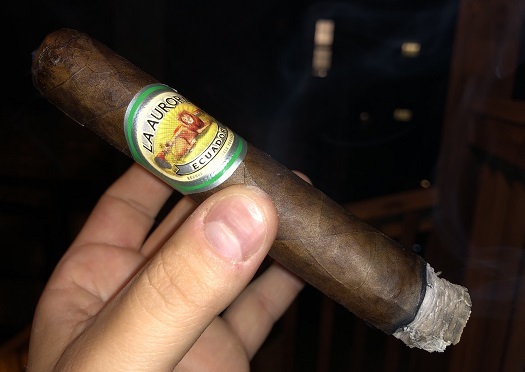 This creation from La Aurora sports a gorgeous sun-grown Ecuadorian Sumatra wrapper around barrel-aged Dominican and Nicaraguan tobaccos. The result is a well-balanced, bright array of often hard-to-find floral and citrus flavors with background notes oak, cedar, and cinnamon. The well-constructed Robusto (5 x 50) will run you about $10 for a single. I recommend giving it a try.